Stormwater is polluted runoff which results from rain or snowmelt carrying pollutants such as oils, antifreeze, and metals from a site into local streams, rivers, lakes, and bays. 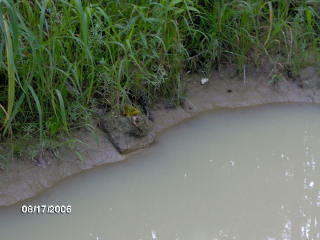 The effects can be disastrous, killing aquatic life and polluting surface waters where people swim, fish and boat. If salvaged vehicles are handled properly using Best Management Practices, and following the guidelines set forth in a Stormwater Pollution Plan (SWPPP), then everybody benefits. Auto recyclers comply with the law, protect the environment, and have a greater sense of pride in their work. In 1972, Congress passed the Federal Water Pollution Control Act (FWPCA), also known as the Clean Water Act (CWA), to restore and maintain the quality of the nation’s waterways. The ultimate goal was to make sure that rivers and streams were fishable, swimmable, and drinkable. In 1987, the Water Quality Act (WQA) added provisions to the CWA that allowed the EPA to govern storm water discharges from industrial activities. EPA published the final notice for Phase I of the Multi-Sector General Storm Water Permit program (Federal Register Volume 60 No. 189, September 20, 1995, page 50804) in 1995 which included provisions for the development of a Storm Water Pollution Prevention Plan (SWPPP) by each industrial facility discharging storm water, including automobile salvage yards. On October 11, 2005, the Federal Multi-Sector permit was replaced by the Maine Multi-Sector permit. Currently, the Maine DEP is overseeing the implementation of these permits. A Notice of Intent must be filed with DEP. In addition, each facility is required to develop a Stormwater Pollution Prevention Plan (SWPPP) to describe how stormwater will be addressed. A SWPPP is mandatory requirement of a facility's permit to operate. The SWPPP highlights techniques that each facility can use to prevent stormwater from running off their site. Major parts of the SWPPP include: 1) Spill and leak prevention, 2) Proper handling and storage of fluids, 3) Proper management and storage of hazardous parts (mercury switches, lead tire weights), 4) Employee Training, and 5) Good Housekeeping. Monitoring stormwater is a key component of the plan. 5) Checklist of activities highlighting strengths and weaknesses of operation using the SWPPP guidelines.